Denver, Colo., Mar 12, 2018 / 02:02 am (CNA/EWTN News).- These biblical commandments probably sound familiar: Thou shalt not kill. Thou shalt not steal. Thou shalt not commit adultery. In a new T.V. show on CBS, main character Chip Curry, a film critic for a New York paper and soon-to-be father, sets out to improve his moral life by following every law in the Bible – all 613 of them – as literally as he possibly can, with the help of his ‘God squad’, which includes a rabbi and a Catholic priest. The premise of the show is based on the 2007 New York Times bestseller A Year of Living Biblically, in which author A.J. Jacobs describes his real-life journey of taking the Bible as literally as possible for a year. 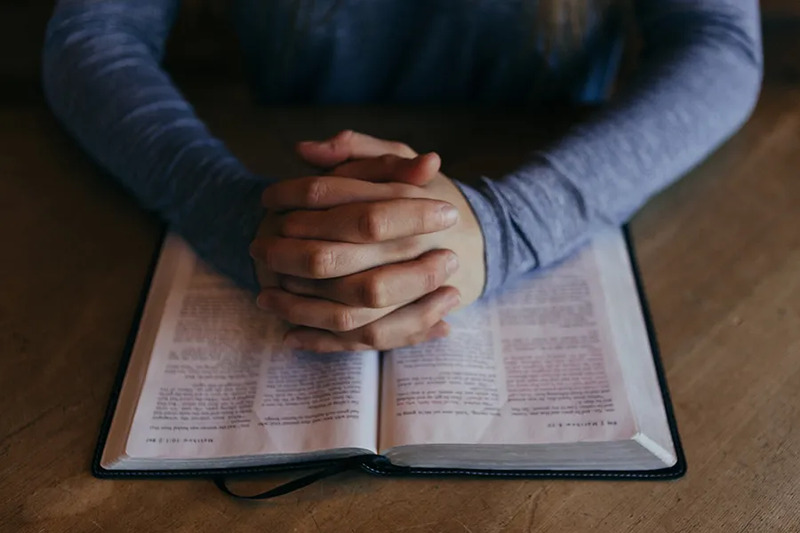 “Good luck if you really want to try to live the Old Testament completely literally,” Villeneuve, who has a doctorate in biblical studies and teaches at St. John Vianney Seminary in Denver, Colo., told CNA. “The 613 commandments in the Old Testament, in the Hebrew Bible, they were given to Jews to begin with, so it's ridiculous for anyone, whether a Catholic or Christian, to say they’re going to live by all of these commandments, because they were never given to Gentiles,” he said. Some of these commandments still stand, however – most notably, the 10 Commandments. When Christ came and established a new covenant, the apostles decided which laws were still meant to be followed by Christians, and which laws pertained only to Jews, Villeneuve said. Denver, Colo., Jan 11, 2018 / 05:00 am (CNA/EWTN News).- A U.S. cardinal has called Catholics to support the needs of refugees and immigrants living along the 2,000-mile border between the United States and Mexico. Dallas, Texas, Sep 23, 2018 / 11:15 am (CNA/EWTN News).- At the final Mass of the National V Encuentro gathering, Archbishop Jose Gomez of Los Angeles encouraged Hispanic and Latino Catholics to go out into the world and be missionary disciples for the Church, like the many holy lay people before them. “Our reading of today’s Gospel begins with these words: ‘Jesus and his disciples They left from there and started a journey,’” he said, referencing Mark 9:30-37. 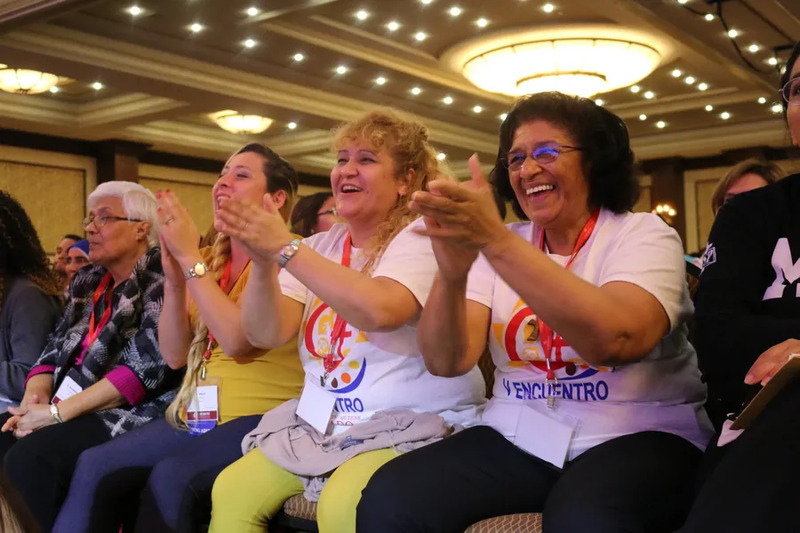 Gomez gave the homily on the final day of the National V Encuentro, a meeting of Hispanic and Latino Catholics from throughout the United States that was the culmination of a years-long process of consultation at the parish, diocesan and regional levels. Missionaries are made because they have first encountered Jesus, who then sends them on a journey, Gomez said. “Your journey is now joined to Jesus. Your story is now part of the story of salvation, the journey of God’s people through history,” he added, like the disciples who spread the Gospel from Jerusalem to Rome, Asia and Africa. “The journey of the Church continued towards the American continent with the appearance of Our Lady of Guadalupe in Mexico, in 1531,” Gomez said. As Jesus sent the disciples, God through the Virgin of Guadalupe entrusted a mission to San Juan Diego – to go tell the bishop to build a church. Just like Juan Diego, God is calling the Hispanic and Latino Catholics of the United States to be saints, missionary disciples and leaders of the Church, Gomez said. “He is calling the lay faithful to work together with the bishops to renew and rebuild his Church. Not only in this country, but throughout the continents of the Americas,” he said. each one of us leads many people to a personal encounter with Jesus Christ,” Gomez said. Washington D.C., Feb 17, 2017 / 02:38 pm (CNA/EWTN News).- The theologian, philosopher and Catholic commentator Michael Novak died Friday, drawing remembrances for his insights and influence on religion in public life. 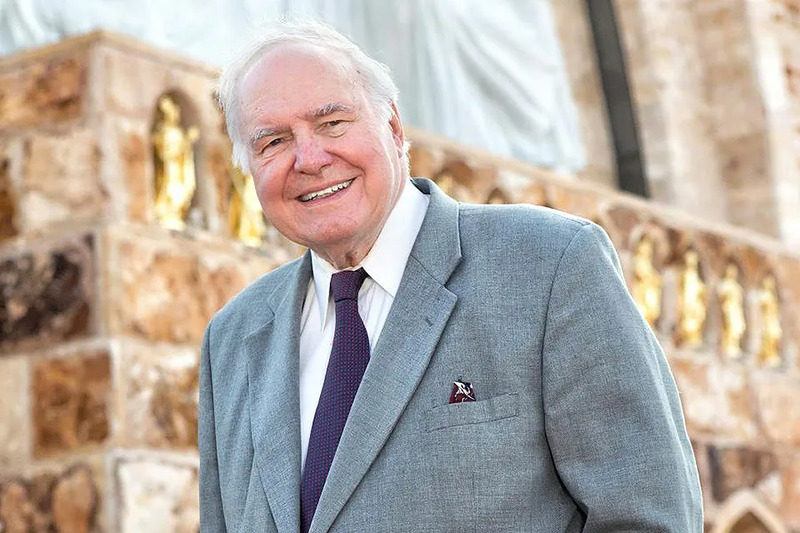 “Unlike some scholars, Michael Novak made it a point to reflect on new and different topics, always with a fresh and dynamic perspective,” Garvey said. Novak died Feb. 17 at the age of 83. He was a student at Catholic University of America in 1958 and 1959. In 2016 he was named a visiting fellow at the university’s The Arthur and Carlyse Ciocca Center for Principled Entrepreneurship. He taught special topics in management and lectured on human ecology. The center’s director, Andreas Widmer, stressed Novak’s pioneering role in considering the intersection of faith and economics. He said he and his colleagues were touched by Novak’s “kindness and humility,” his generosity with his time, and his encouragement for others. “You would never have known from working with him that this was a man who had counseled popes and changed the course of history,” Widmer said. 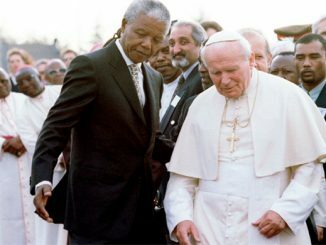 St. John Paul II, President Ronald Reagan, and U.K. Prime Minister Margaret Thatcher considered Novak a friend, Catholic University of America said. Novak was the author of numerous books, most prominently the 1982 work The Spirit of Democratic Capitalism. He contended that democratic capitalism is “neither the Kingdom of God nor without sin,” but better than all other known systems of political economy. “Such hope as we have for alleviating poverty and for removing oppressive tyranny — perhaps our last, best hope — lies in this much despised system,” he said. The book was published around the world and had a particular impact among anti-communist dissidents in Eastern Europe. The book was illegally distributed in Poland by the Solidarity movement, the Washington Post reports. His other books include Tell Me Why: A Father Answers His Daughter’s Questions About God, a 1998 work he co-authored with his daughter Jana. Novak wrote on human rights, economic systems, the history of labor unions, U.S. ethnic history, and the role of churches in the modern world. He was born to a Slovak-American family in Johnstown, Pa. on Sept. 9, 1933. His studies for the priesthood took him to the Pontifical Gregorian University in Rome and he was ordained for the Congregation of Holy Cross in 1960. Within months of his ordination, he left the priesthood and was later laicized. He received a bachelor’s degree in philosophy from Stonehill College, a Bachelor of Theology from the Pontifical Gregorian University, and a master’s degree in history and the philosophy of religion from Harvard. Novak worked as a journalist in the early 1960s, writing for the National Catholic Reporter and Commonweal before working for Time Magazine in Rome during the Second Vatican Council. He would go on to serve as an editor at Commonweal and Christian Century magazines, religion editor for National Review, a contributing editor for First Things magazine and editor-in-chief of Crisis Magazine. According to Novak’s website, his political work included the 1968 campaigns of Eugene McCarthy and Robert F. Kennedy and speechwriting for Democratic vice presidential nominee Sargent Shriver during Sen. George McGovern’s unsuccessful 1972 presidential campaign. He became an opponent of the Vietnam War after initially supporting intervention. He would turn away from left-wing politics and the Democratic Party to join the Republican-trending neoconservative school of thought. Under President Ronald Reagan, he was named as U.S. Ambassador to the Human Rights Commission of the United Nations and served on the Board of International Broadcasting that oversaw Radio Free Europe and Radio Free Liberty. He served in multiple academic positions, teaching at Harvard, Stanford, Notre Dame, and Ave Maria University. In the early 1970s, he helped design a new humanities program for the Rockefeller Foundation of New York. He joined the American Enterprise Institute think tank in 1978, where he worked as a scholar until his retirement in 2010. Among Novak’s many achievements were his work to launch many academic institutes and seminars, including the Tertio Millennio Seminar that aimed to bring together North American and Eastern European students to discuss Catholic social teaching. Novak’s honors include the Templeton Prize for Progress in Religion. Ahead of the 2003 U.S. invasion of Iraq, Novak went to the Vatican to argue that the war would be justified on the grounds of self-defense against Iraq’s then-leader Saddam Hussein. His remarks tried to counter some high-level Vatican critics of a war on Iraq. Though Novak was careful not to criticize him personally, opponents of the war included St. John Paul II. At the time, the Los Angeles Times reported that U.S. Ambassador to the Holy See Jim Nicholson had brought Novak to Rome for an embassy-sponsored lecture series, but Nicholson stressed that Novak did not represent the U.S. government or its embassies. Novak is survived by three children and four grandchildren. He was preceded in death by his wife Karen Laub-Novak.